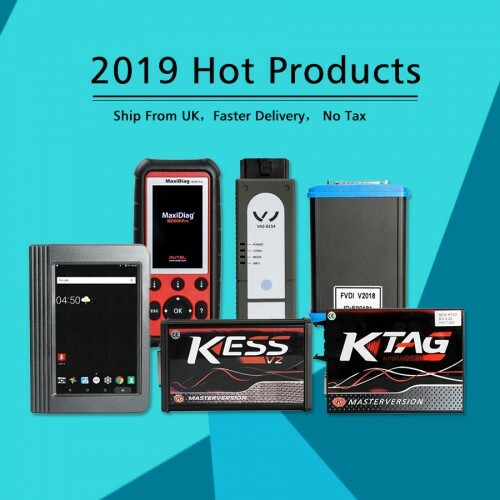 Online Version Kess V2 Firmware V5.017 support online service, can work with interent, no tokens need, newly add 140+ protocols.Ktag SW V2.23 Firmware 7.020 Master Version ECU Programmer newly add 100+ ECU type models. Available Protocols for K-TAG: BDM MOTOROLA MPC5xx. Operation convenient, automatically recognize ECU model, high stability. What’s more, this package offer saves you money than buying them alone. 1. Multi-language support: English, German, Spanish, Italian, Portuguese, French. www.carobd.de offers only 325 EUR with Free Shipping!!! This entry was posted on August 2, 2017, in ECU Chip Tuning Tool and tagged Auto ECU Programmer. Bookmark the permalink.